Everyone's afraid of something, the saying goes. For that, you can thank your amygdala, an almond-shaped region of the brain that, when stimulated, causes intense emotion, such as aggression or fear. But along with fear, say studies published in a 2010 Current Biology journal article, comes fascination. Justin Feinstein, a University of Iowa graduate student who worked on the study, told Scientific American in 2011, "The amygdala helps us navigate the fine boundary between approach and avoidance." In other words, the two emotions—fear and fascination—work together to get us out of trouble, to get us out of harm's way. And it just might explain the strange attraction to all things morbid and fearsome that erupts this time of year. Laughing at death (and assorted terrors) has become its own festive season, stretching from late September through early November, serving to justify City Weekly publishing an annual Halloween issue. To be clear, life in Utah offers up completely valid reasons to be afraid. Recent headlines have included an elderly Utahn dying of bubonic plague, a woman (accidentally) drinking poisoned ice tea at a restaurant, live anthrax (accidentally) being shipped from a military lab in Utah to labs in nine other states, and a tar pit at the Great Salt Lake almost swallowing up a pet dog. There are also the ever-tragic incidents that occur all too often, as when one encounters a Trax train moving at a high rate of speed, a cop when in the throes of a mental-illness outburst, and, now, a firing squad when sentenced to death by the Utah justice system. And let's not forget Utah's creepiest sci-fi citadel: the Utah Data Center in Bluffdale. Yes, we're all being watched by machines. And they never sleep. So, it is with a certain relief that we savor the thrills and chills of imaginary horror. In a "zombie apocalypse," author Douglas Rushkoff said on his Rushkoff blog, "there's no Twitter, there's no cell phone, there's no boss, there's no IRS. There's just you and your family on a hilltop with a shotgun with slow-moving zombies on the horizon. It's relaxing on a certain level." Rushkoff further suggests that because we're living in a world that is "on" so much of the time, "people start to ache for some kind of conclusion," he says. Perhaps, then, A&E editor Scott Renshaw's list of spooky shows can direct you to performances where you'll find a sense of conclusion, as might Kylee Ehmann's compilation of corn mazes and spook houses, and Elizabeth Suggs' compendium of haunted activities. Carolyn Campbell's report on possible surveillance of Utah by aliens might provide yet another reason to fret. Conversely, it might be a reason to support former Rep. Merrill Cook should he decide to run for office again. Finally, should you decide to look the part this season—to dance with Death and spit in his eye—Randy Harward's feature on how to create the best makeup effects is just what you'll need to charm the pants off any zombie in a 5-mile radius. Then be regaled learning about Utah's claim to fame as a scary backdrop to a bevy of horror films. It may all be an act, but the thrills and chills are real. When you want a chill in your soul to match the chill in the air, sometimes it's time to turn to shows that feed your ghoulish side. Every year, local arts organizations offer up special treats with a Halloween flair. Scarefully selected for your enjoyment, here are some highlights, both returning and brand new. You might not immediately think that musical theater is an ideal match for Halloween, but multiple productions look to combine tunes with creepy content. Pioneer Theatre Co. once gain presents The Rocky Horror Show Concert Version, a script-in-hand interpretation of the classically campy (or campily classic) Richard O'Brien story of an innocent young couple stranded with mad scientist and "sweet transvestite" Dr. Frank N. Furter. Prepare to do just a jump to the left for one of only four performances. Oct. 22-23 @ 8 p.m.; Oct. 24 @ 5 p.m. & 10 p.m.; $25-$40, PioneerTheatre.org. Utah Repertory Theater Co. turns to another vintage 1970s terror tale for its production of Carrie: The Musical. Based on Stephen King's novel and its gruesome film adaptation, it adds a collection of unique songs by Dean Pitchford and Michael Gore to the story of misfit high-school student Carrie White and the supernatural powers that allow her to wreak vengeance on those who have tormented her. Sorensen Unity Center, Oct. 30-Nov. 15, $15-$18, UtahRep.org. Grand Theatre is adding some funny to a famous monster with its stage musical adaptation of Mel Brooks' genre parody Young Frankenstein, following the heir to the doctor's cadaver-reviving legacy. 1575 S. State, Oct. 8-30, 7:30 p.m., $18-$20, The-Grand.org. Also returning is Garrett Sherwood and Ryan Hayes' rock opera Deep Love, using only the power of songs to relate the tragically eternal love between a young widow and her husband, who isn't about to let death keep him from her. Zombie-there or zombie-square. Rose Wagner Center, Oct. 5-6, 8 p.m., $15, ArtTix.org. Salty Dinner Theater spices up local restaurants with a touring production of Salem Witch Trials where audience members judge the defendants; it will hit venues in Sandy, Midvale, Murray, Orem and Layton throughout October. Various locations, Oct. 8-29, 7:30 p.m., $8-$15, see SaltyDinnerTheater.com for schedule. If you prefer some humor to temper your scary holiday theater experience, Off Broadway Theatre presents Breaking Vlad, in which a mild-mannered chemist becomes a vampire, then manufactures a synthetic blood that helps him feed his hunger but also attracts monster gangs. 272 S. Main, Sept. 25-Oct. 31, Friday-Saturday & Monday, 7:30 p.m., $10-$16, TheOBT.org. Our collective societal love for being creeped-out at the movies gets its annual local airing at Salt Lake Film Society's Tower of Terror series. Late-night weekend screenings include Poltergeist, A Nightmare on Elm Street, The Lost Boys, From Dusk Till Dawn and The Rocky Horror Picture Show. 876 E. 900 South, Oct. 2-31, Friday-Saturday, 11 p.m., $5 with some special pricing for Rocky Horror and Oct. 16 X96 Friday Bloody Friday double feature, SaltLakeFilmSociety.org. For even more old-school scares, take a trip back to 1925 with the original silent version of The Phantom of the Opera at Edison Street Events, complete with live Wurlitzer organ accompaniment. 3331 S. Edison St., Oct. 21-23, 7:30 p.m., $6, EdisonStreetEvents.com. The Utah Symphony welcomes trick-or-treaters of all ages to come in costume for the annual family-friendly concert. The Wizarding Halloween Spooktacular features a programs of seasonally appropriate music—including John Williams' themes from the Harry Potter films—plus a costume contest for special prizes. Abravanel Hall, 123 W. South Temple, Oct. 27, 7 p.m., $6-$18, UtahSymphony.org. One of Utah's most popular October offerings, Odyssey Dance Theatre's Thriller crawls out from the crypt for performances that sell out every year. While the Michael Jackson classic might give the show its name (and one of its signature dance numbers), you also get a chance to see Halloween's Jason show off some fancy footwork, plus the "River of Blood Dance." Two companies bring the show to eight cities. Various locations, Oct. 2-31, $20-$45, OdysseyDance.com for full schedule. Keep your eyes on the skies—those lights up there could be an extraterrestrial invasion. Nick Guerditchian saw four objects hovering over Sugar House on March 29, 2015. At first, he fought the idea that they could be UFOs. But, the longer he watched them, the more convinced be became. "When I go outside my house, I always look up," Guerditchian says. "These shiny things caught my eye. They were clumped together in a square. Then, oddly, one would drift off and the others would stay." When Guerditchian viewed the objects through binoculars, they appeared to be orange, red, green and silver globs. Today, Guerditchian's video of the objects, which he estimates to be Volkswagen-bug size, is on the Open Minds (OpenMinds.com) and Mutual UFO Network (MUFON.com) websites. Erica Lukes, Utah state director of MUFON, says she's been "a very busy girl" investigating all the reports of UFOs in Utah. She says the Beehive State has an unusual amount of UFO activity, for which it is known worldwide. "We are seeing sightings of clusters of orange or red orbs during the evening and white orbs during the day," she says. There are repeated reports of such sightings at Salt Lake City International Airport and in West Valley, Draper, Millcreek and Bountiful. 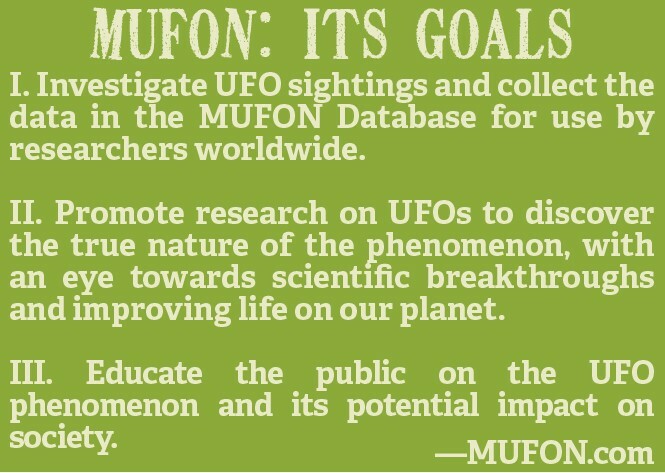 In Salt Lake City, MUFON has received multiple reports about orange and white spherical objects. West Valley and Draper are also active with white and orange orbs. "This is the place where most of a mass sighting took place on Oct. 2, 2014," says Lukes. "I tried to get radar info from the FAA and received unreadable text two different times. There were multiple witnesses to this event all over the valley." In 2011, there were UFO sightings around Alpine at the same time Dugway was put on lockdown because a vial of neurotoxin went missing. At Skinwalker Ranch in west Uintah County, journalists Colm Kelleher and George Knapp claimed they saw or investigated evidence of close to 100 incidents that included vanishing and mutilated cattle, sightings of unidentified flying objects or orbs, large animals with piercing red eyes that were uninjured after being struck by bullets and invisible objects emitting destructive magnetic fields. "We need to get the word out that there is a place to report [sightings], and that we will investigate them," says Lukes. "It's important that people report, because we rely on that data." Jacques Vallee, who developed the first computerized mapping of Mars for NASA, is one "of the world's foremost investigators" who came to Utah to investigate the possibility of UFOs here, Lukes adds. She explains that, in each case of a reported UFO, man-made possibilities and natural phenomena must first be ruled out. "In the cases in and around the Salt Lake Valley, we know that the military would not test anything over densely populated areas because of risks to civilians, and we have thousands of other acres [over which] to test here in Utah," she says. "This would eliminate flares or experimental craft." 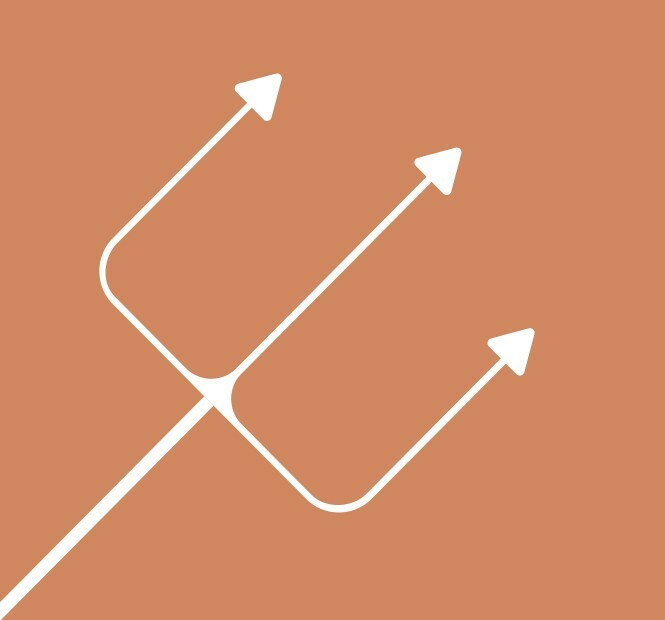 Military drones are illegal in Utah—as are floating Chinese lanterns, which typically burn for four to seven minutes and move with the wind, says Lukes. "The objects we are getting reports of are stationary for upward of 20 minutes and then move in ways that a lantern would not be capable of. Many times, they are seen in multiples and often merge and move with [seeming] intelligence." Civilian drones have been identified in a small percentage of cases. "Again, they have certain ways they behave," says Lukes. Former 2nd District Congressman Merrill Cook, R-Utah, recalls that the federal government used to spend money to investigate UFOs through the Air Force, under Project Blue Book. The goal was to determine whether UFOs were a threat to national security and to scientifically analyze UFO-related data. "In the documents issued since World War II, the government itself declared there were at least 1,000 UFOs. That, in itself, shows that the concept isn't just a crazy idea," says Cook, who believes UFOS should be scientifically investigated again. 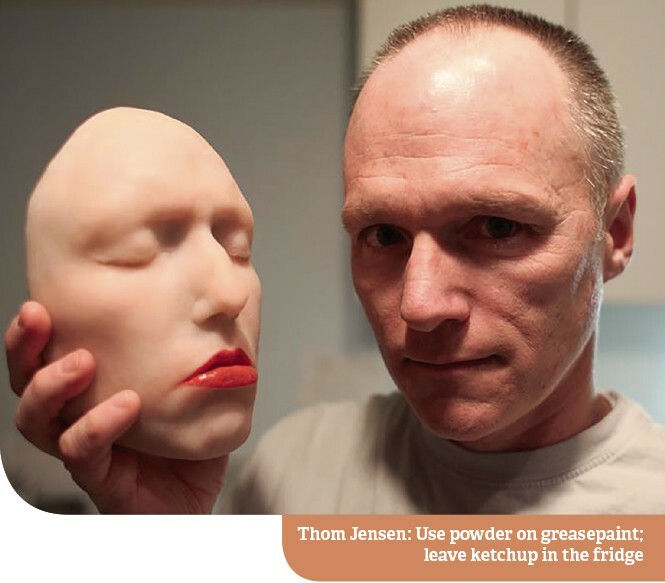 Local FX artist and filmmaker Thom Jensen gives tips for killer Halloween makeup. When looking for cheap and easy makeup, it's tempting to go straight to the fridges and cupboards. But ketchup makes for terrible, stinky, sticky, inauthentic blood. "Most foods were not intended to be used as makeup," says Jensen. "Don't use peanut butter or chocolate on your face. You will upset people by bumping into them or their clothing or furniture." Some foods are OK, though. "Oatmeal and other dry food products can add a nice texture to your makeup effects." If you want quality, professional makeup, Jensen says to hit the costume store. "Walmart and Target have very cheap, crappy makeup that doesn't stay on well. If you want to get what the pros use, there is a special makeup effects store in North Salt Lake called FX Supply. Owner Steve Biggs has a wealth of knowledge in makeup effects. ... He even teaches weekly class at his shop on makeup effects techniques." Why is greasepaint such a pain? It smears, gets on your clothes—or other people. Jensen's pro tip is to use powder. Any cream or compact makeup that has an oil base needs a light coating of powder in order to set, and keep layers from bleeding together. "Powder helps keep the colors from blending together and making your face look muddy, shiny and slimy—and it keeps the makeup from rubbing off on other people. I recommend using a translucent powder. If you don't have that, as a last resort, you can use baby powder. Lightly powder, then brush or blow air on the makeup to remove any excess." If you want to skip a step, "you can purchase a water-based makeup that works well. It doesn't last as long as the cream makeup, but it does dry and doesn't require powdering," he says. You wanna be a clown, like Gene "Bozo" Simmons of KISS? "Cover your face with a heavy coating of clown white. You want it to look like pure white, unless you are going for a Joker look, then lightly cover your face and wipe some away in the creases and wrinkles on your face. Powder your face to set the makeup, and then add the other colors." At the costume shop, you'll find all kinds of rubber wounds, masks and hairpieces that you can glue on your face and head. Maybe you've tried them and complained that they wouldn't stay on. Here's a fix: "Clean your skin with isopropyl alcohol," Jensen says. "Lotions and skin oil will cause the rubber cut or fake mustache to fall off after an hour or so. Even when applying liquid latex to your skin, clean your skin with alcohol first." A note to the hirsute: "Avoid gluing anything to hairy areas unless you don't mind losing some hair when you remove the appliances." Wanna look infected and hungry, zombie lovers? Jensen says to start by applying a light, filmy layer of green makeup. "It shouldn't be thick. Smear it on so it blends into your skin allowing your natural skin tone to show through. In the hollows of your face—under cheekbones, temple and eye sockets, use a black or gray makeup in the same way you did your face, and lightly blend the edges away. Using these basic techniques will make you look naturally dead and not like someone with a lot of green makeup smeared all over your face." "Prosthetic glues and adhesives are important," Jensen says. "A lot of people still use spirit gum. Most spirit gum is just tree sap with an alcohol base. The best remover for spirit gum is isopropyl alcohol (+80 proof). If you are using a prosthetic-type adhesive like Pros-Aide (available at costume stores), there is a specific adhesive remover that you will need to buy, or you'll have a hard time getting the glue off your skin—and you may hurt yourself. Also, follow the instructions on how to apply these prosthetic adhesives. They work amazingly well when used correctly." Wendigos, Bigfoots & Classic Grindhouse! 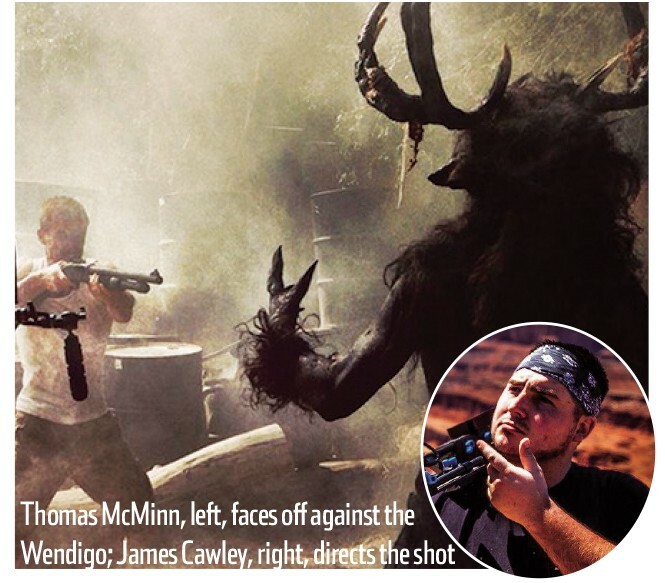 Local filmmaker James Cawley on his upcoming, locally filmed and sourced horror flick, Wendigo Carnage. "I have always loved horror films," says Eagle Mountain filmmaker James Cawley. He's one of the lucky kids whose parents would rent classic horror films for him and his brothers growing up in Pocatello, Idaho. "I remember going to Great American Video and finding the most awesome '70s and '80s horror films." Cawley's horror fandom led to a desire to make his own films, and he got a camera at age 14 and started shooting. Eventually he attended Utah State University, studying marketing and graphic arts. Upon graduation, he founded Centerstar Marketing, a video-production company that also does post-production, marketing consultation and content generation. That doesn't mean Cawley's done making movies. His YouTube channel (YouTube.com/user/aeptemplates) has more than 100 short films, commercials and software tutorials. Among these is the trailer for his upcoming feature film, Wendigo Carnage. The trailer opens with a grainy pulp definition of "wendigo" (a creature from American Indian folklore with an insatiable appetite for human flesh) and "carnage" (great and horrible bloody slaughter on a massive scale). As a scratchy jumble of disturbing images plays, and WENDIGO CARNAGE slithers across the screen, a staticky voiceover says, "Every 10 or 15 years, a film is produced that is so overwhelming, so forceful in its impact, that it becomes embedded in the mind." Already, it's classic grindhouse, announcing how it's the movie that you can never unsee, the one that will ferk you up fer life. Cue the hillbilly bartender on the phone to the sheriff, warning about a "big sumbitch" outside with horns on his head. We see the creature, backlit, trudging through fog. We see gore. We see where this is going—straight to grindhouse heaven! The grindhouse aspect is important to Cawley, so it's OK that it's taking some time. "As I grew older, I found myself missing the B-movie horror films that used to appear at the drive-in theaters. Don't we all? I think there is something truly authentic and real about this look and style. So much more than modern films with special effects, digital monsters and such. It takes us back to a time where things were "what you see is what you get"—aka the Evil Dead days. My main goal for this film was to take someone back to the days when movies were not about special effects, CGI and gimmicks ... but true drive-in movie-style fun that left you laughing and scared." To that end, Wendigo Carnage will have fast action, quick cuts, 90 percent practical (read: not digital) effects, dry humor, flashbacks and an intermission sequence. "The main goal of this film is to make you laugh, have fun and to shock you many times with its epicness." Now, if only things would get moving in the editing bay. "Wendigo Carnage has been in post-production for much longer than I had desired or planned," Cawley says. "The self-funded budget of this entire film was so crazy low, so it's a slow process." While shooting in the tiny town of Eureka, Utah, Cawley and his all-local cast and crew, all believing in Wendigo Carnage, happily subsisted on "classy craft services meals consisting of Taco Bell and Wendy's value-menu items." We all know about Dumb & Dumber, Butch Cassidy and the Sundance Kid, and those old John Ford westerns. Tell us where the bodies are hidden! After the colossal pièce de excremènt Halloween 3: Season of the Witch, which had nothing to do with masked slasher Michael Myers, producers brought the series to Utah to film Halloween 4: The Return of Michael Myers in 1988 and Halloween 5: The Revenge of Michael Myers in 1989. Actor, stuntman and Utah resident Don Shanks played Myers in H5. You might know him better as Nakoma from the TV series Grizzly Adams. Locations included Salt Lake City, Sugar House and Midvale. Utah played Texas in this 1999 film about a plague of mutant bats. Filmed on historic Main Street in Magna, as well as a school that is now the Magna Kennecott Senior Center, it also used the Oquirrh Mountains as a backdrop. The Great Saltair, in any incarnation—but especially the old-school look from 1962—is creepy. Especially at night, when it's just you and your friends enjoying the briny breeze, weird sand and a sense of impending doom. So it was a great place to film this one, which concerns a church organist who falls under the spell of a weird stranger and his cast of creepy ghouls. Only a portion of this 2004 remake/reboot of George Romero's legendary opus was filmed in Salt Lake City. It's either a classic or a travesty, depending on the horror fan you ask. Bonus points, though, for its inclusion of Modern Family's Ty Burrell, who lives here. Leonard Maltin called it "worthless splatter film." Gene Siskel said the proceeds were "blood money." People took Santa way too seriously in 1984, when this film was made here in Utah. It's a serial killer who, as a child, watched a guy in a Santa suit kill his family—and, as an adult dresses as Santa to slay anyone who's "naughty." Salt Lake Community College film and acting instructor Geoffrey Paul Hansen (who, sadly, passed away this year) played the boy's father. Hailed in the documentary Best Worst Movie, this celluloid turd about trolls was filmed in Morgan, which was called Nilbog in the film because it's infested with goblins—not trolls (go figure). It makes absolutely no sense, but is so awesomely bad that fans hold Rocky Horror-style audience-participation screenings. Haunts, corn mazes and all kinds of spooky fun abound this October.